It may sound cruel but over the past few weeks Syria’s pro-democracy revolutionaries have been pushing and shoving for headline space with their Libyan and Yemeni counterparts. It’s not hard to see why. Getting the West interested in your particular revolution is a sure way of maximizing the potential for its success, for every Arab knows that the US and the EU who have long accepted dictators as a fact of life (and therefore legitimized them) can de-legitimize them with a press conference or two. Getting the Western media to talk about your revolution will lead to public pressure, which leads to leaders making statements, paving the way for policies to be formulated and political pressure exerted. The Libyans have so far received the lion’s share of interest. To be fair, they did get in first when they sparked their uprising against Gaddafi back in mid-February. Their column inches is impressive, if not the present course of their revolution which has stalled on the battlefields of Brega and Ras Lanuf. The Yemenis have so far followed the rather more peaceful Egyptian model, remarkable given the amount of weaponry in ordinary citizen’s hands. However, lack of economic incentives, the relatively low number of dead and injured and the real threat of Al-Qa’ida has made the Western media somewhat wary of embracing the Yemeni revolution. In many ways its a less “sexier” revolution than Libya’s: there’s no Dr Evil-type villain, no African mercenaries, no perfect Mediterranean backdrops, no oil fields; just thousands of Yemenis in traditional garb squatting in the centre of the capital San’a. The Syrian revolution took everyone by surprise. I say everyone; some did foretell what was to come but these voices were drowned out by the well-informed experts who assured us that the Syrian regime was ‘immune.’ How the mighty have fallen. The problem as far as the Syrian revolutionaries are concerned was that their timing was awful. By mid-March the Western media was enthralled by the images of NATO jets taking off on bombing runs in Libya, and terrified by the threat of nuclear meltdown in Japan; both stories easily relegated Syria to the back pages. Remains of the day: Hafiz Al-Assad's statue torn down by protesters in Deraa. Not for long though. 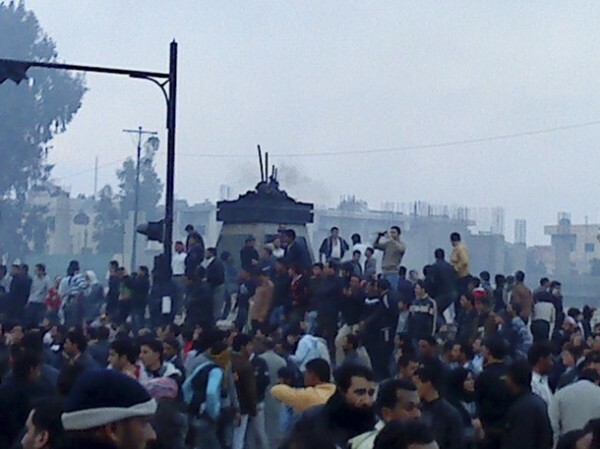 Hundreds of protesters turned into thousands, and inevitably, dozens of dead and injured. Syria is at the crossroads of converging political interests; it is a police state par excellence run by a militarized mafioso family; it’s beauty and romance tempered by undercurrents of danger and extremism. The world just had to take notice. Take notice it did; the problem was that the debate was being framed within the context of reform, not revolution. 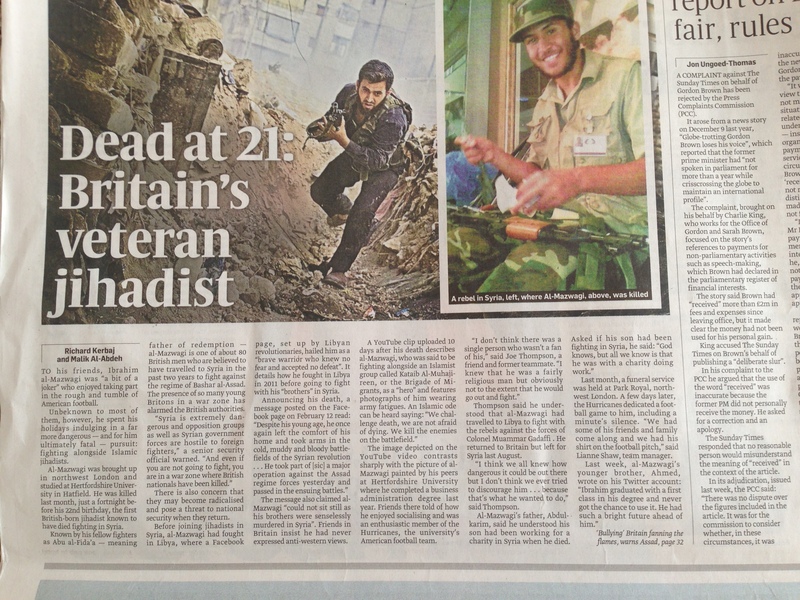 This has meant that news editors are giving Syria less attention that it deserves. In part this is the fault of the protesters themselves who initially went out onto the streets demanding reform, not regime change. The media as a whole however, Arab and Western, did not pick up on the subtleties of Syrian doublespeak, which inevitably develops in a totalitarian dictatorship of 48 years. When Syrians say they want “change”, they mean regime change, not just a change in the law, and when they talk about “freedom” they mean freedom not to be ruled by the Assads. The culture of fear still permeates Syrian society, and many still prefer to skirt on the edges of the hated “red lines” rather than dare cross them. All this has meant that there is a great deal of confusion as to the real aims of the revolution. The body count is there, but not the clarity of purpose. In Tunisia it took several weeks for the protests to solidify into a popular, coherent and nationwide anti-Ben Ali uprising. 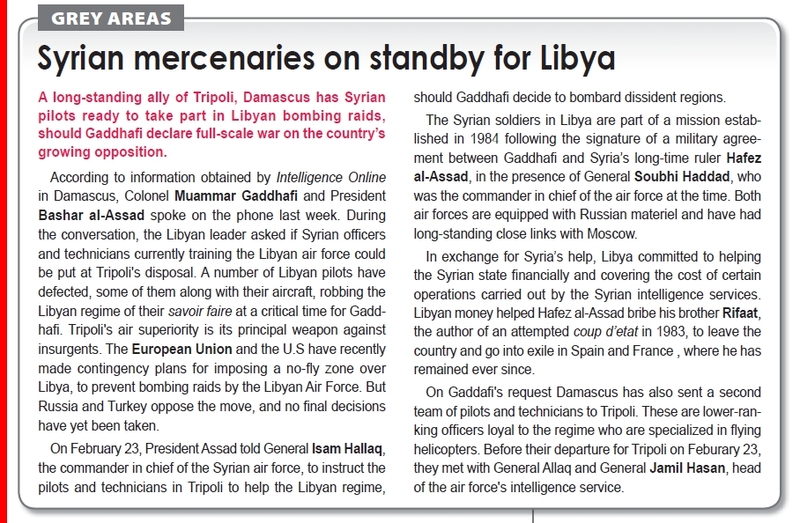 Syria will take longer; the adversary is more sophisticated and considerably more brutal. If the protests continue, which they will, and Libya-fatigue begins to set in, Syria will feature more prominently in newspapers and on news channels. Glad tidings for the revolution as it seeks to find its deserved place in the media limelight. Running an Arab dictatorship is not as easy as it used to be. There was a time when all you needed was to parrot something about Islamist extremism/oil contracts/immigration/peace with Israel, and Western leaders were happy to do business with you. The growing influence of the media however, has meant that dictators have to try that little bit harder. The Guardian has uncovered the role played by global lobbying firm The Monitor Group in improving the image of the Gaddafi regime in the US. The campaign, believed to be worth $3m, focused on paying for top academic figures from leading American universities to travel to Tripoli for personal conversations with the Libyan dictator. The revelation reflects a growing desire by Arab regimes to improve the way that they are perceived in the West. This didn’t matter very much in the past when realpolitik considerations reigned supreme. However, the end of Soviet patronage, the decline of Arab nationalist ideology in favour of democracy and human rights, and the need to attract foreign investment to keep the armies of young people in employment, has meant that regimes in the region have had to embrace the PR industry. Improving a regime’s image abroad is as much about maintaining control at home. A state visit to a European capital, a well-placed article in a respected newspaper, or a well-timed photo-op creates the impression that the cherished leader is “backed by the West.” This disheartens the opposition, which assumes that the dictator and the West are in cahoots. The focus, as always, is on renewing sources of legitimacy, thereby consolidating the regime’s power over it’s people. 1- Assad’s Syria is a haven of security and stability in an unstable region. 3- Assad’s Syria is a reforming and modernizing Arab state, with civil society being encouraged by the first lady herself. Using these three basic messages, regime publicists have been at it for years, using any opportunity to get positive headlines. The dictator’s wife may well be an attractive and intelligent woman, but all that is beside the point. It’s not really about her as a person, it’s about Asma the product. 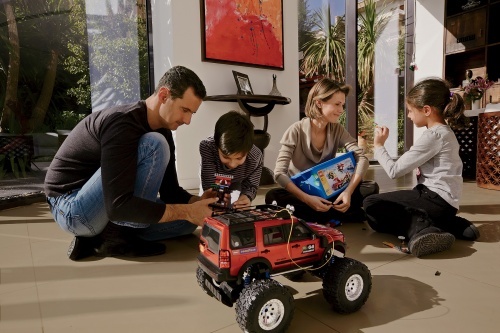 The PR men have turned her into a poster child for a Syria that does not exist, and whose sole purpose is to charm the Western media for the benefit of her husband’s regime. The Vogue piece therefore is not a one-off. It’s part of a well-organized and well-financed image makeover executed by lobbyists and image consultants, and not much different to what The Monitor Group has been doing for the Gaddafis.